For many people, entering into the backcountry for the first time can be a daunting task. 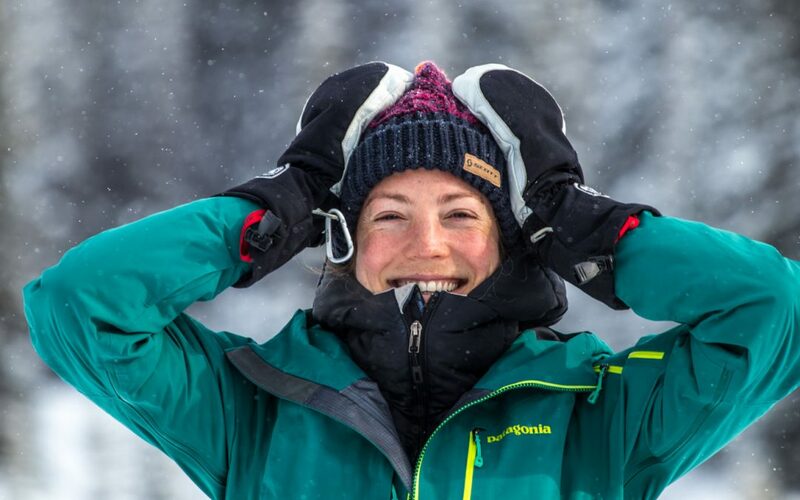 Apart from the planning, training, and knowledge that is required to even get out the door, there is a substantial amount of gear that is essential to make skiing or riding in the backcountry both safe and fun. As backcountry skiing and touring has become increasingly popular, the selection of gear has continued to grow and improve significantly, giving more options to the consumer. This is great for those who are already familiar with much of the equipment but can be quite overwhelming for anyone who is not. An informed approach, guided by some basic research and knowledge, will make selecting the right gear much easier. The essential gear can easily be broken down into three categories: Soft goods, Hard goods, and Safety Equipment. In Part 1 we cover the basics of the Soft Goods, Part 2: Hard Goods, and Part 3: Safety Equipment. New to backcountry skiing or snowboarding? Sign up for our Intro to Alpine Touring program. 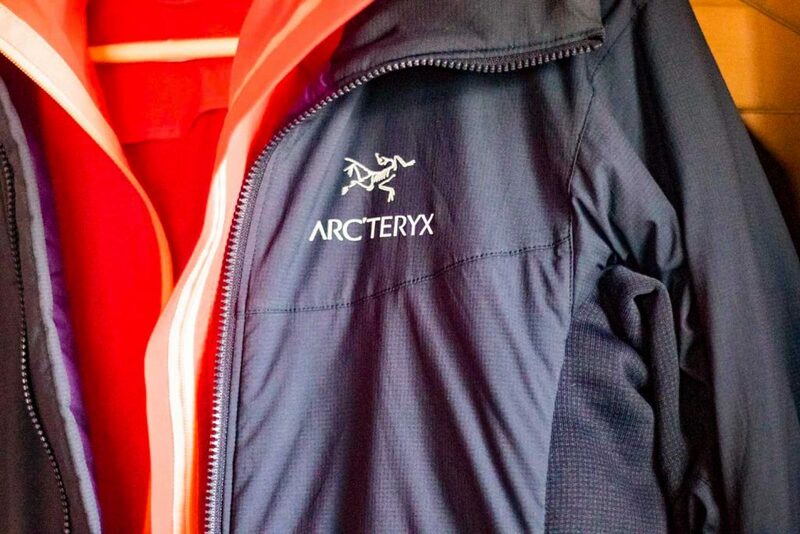 “Soft goods” refer to the technical clothing needed to stay warm and dry when backcountry skiing or snowboarding. 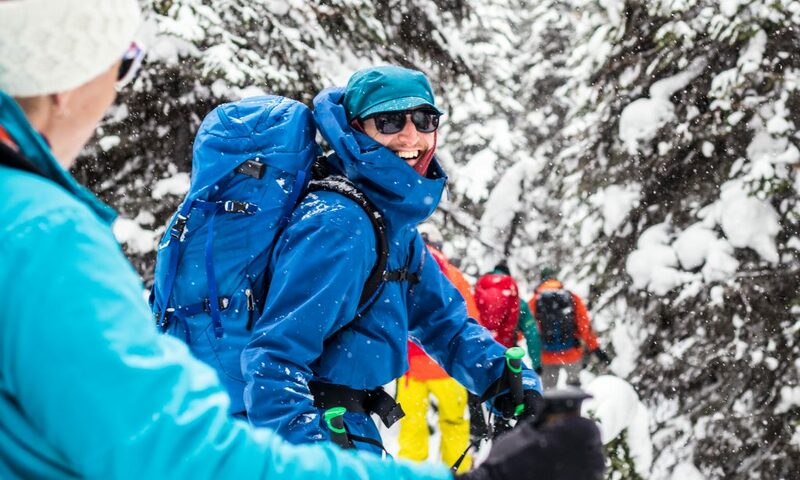 Although this may seem like a rather obvious concept at first, there is virtually an unlimited amount of variations and options, and selecting the right pieces can make a significant difference in keeping you safe and comfortable in the backcountry. 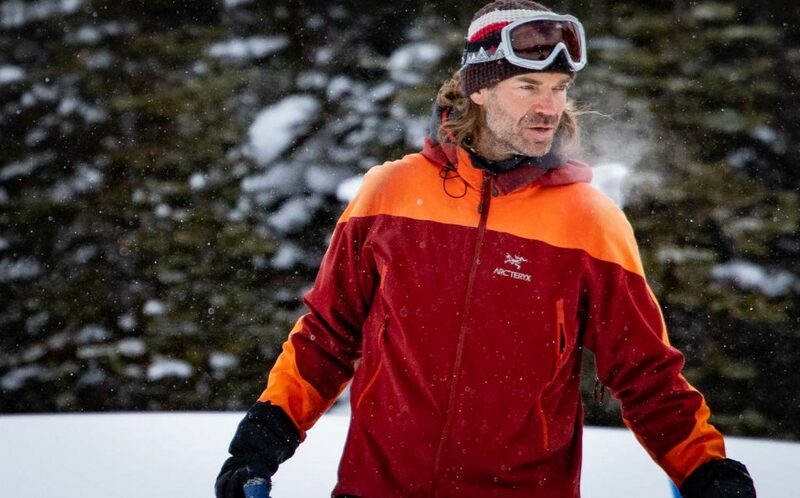 Possibly one of the greatest challenges for all backcountry skiers and snowboarders is the balance between waterproof and breathable fabrics. Staying dry in the backcountry is an absolute must for staying warm. Becoming wet and cold is not only unenjoyable, but more importantly can be extremely dangerous. Even so, having a completely impenetrable piece of plastic that allows for no breathability or means to dissipate heat and sweat, does obviously not work either. The chart below demonstrates the balance between waterproof and breathability. Thankfully, however, the growing popularity of many outdoor sports has brought significant improvements in technology, providing better performing gear each year. Selecting the right waterproof piece of gear not only comes down to identifying the intended activities, but also determining each individuals personal needs and how that piece will be used along with other pieces. Backcountry ski or snowboard touring can often be a significant amount of work and exercise. Even with just the standard array of gear, food, and equipment that is needed, the load can easily become large and heavy. Literally, every ounce of weight and space that can be saved will not only save energy but will ultimately allow you to stay out longer and get more enjoyment out of your days. One of the biggest recent advancements has been the development of lighter and more packable materials. New fabrics and technologies have significantly reduced the overall size and bulk of many pieces of clothing while not sacrificing protection or warmth. Most pieces are now also designed to be used alongside other complementary pieces that work together in a system (discussed next in layering), emphasizing breathability and comfort. It is extremely important when purchasing any piece of clothing or equipment to consider how they will fit into your overall layering system. Key to building a soft goods system that works is selecting the right combination of layers. A good laying system can be worn in a variety of different combinations to keep you comfortable and dry at different levels of physical exertion in a wide variety of temperatures and weather fluctuations. This will help to both reduce the need for carrying extra or redundant pieces, as well as minimizing the need to add and remove layers throughout the day. Layering includes every level of protection from base, to insulation, to outer layers, and each layer works with the next to create your own personal microclimate. As base layers wick away sweat and perspiration, the next layer needs to be able to do the same. Each layer that you wear should contribute to carrying the sweat vapour towards the shell jacket where it is evaporated away from the body. If at any point the heat and sweat vapour is not able to move through the fabric, it becomes trapped inside that clothing layer. We’ve all experienced a situation where we’ve sweat so much that our clothing becomes wet and sticks to our skin. It’s not pleasant and it can result in rapid cooling in sub-zero temperatures. Maintaining a comfortable temperature, where one is neither overheating or becoming cold is the goal of a good layering system. 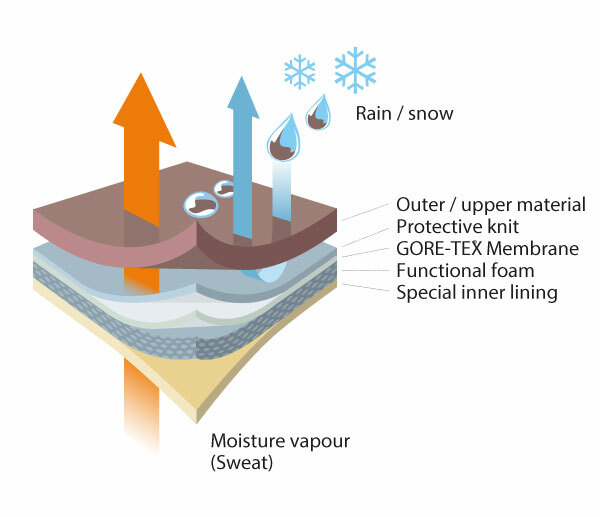 The diagram below shows how the layering of fabrics in a GoreTex jacket work together to help sweat vapour escape. Your layering system of multiple soft goods should work in exactly the same way. Cotton is a material that is exceptional at holding moisture. It is a great example of a fabric that can ruin a layering system by preventing sweat from making to the outer shell layer to be evaporated. The introduction of new materials (merino wool, synthetics) are now more breathable, faster drying, and lighter than before. Consumers have a huge variety of options to choose from depending on personal needs and preferences. Each person is unique and will have different needs and preferences, depending on their own physiological makeup. Purchasing the right pieces of gear and clothing comes down to research and planning, and each piece should be thought of as part of the overall system.